Is your Mastiff pup very active? You have a great opportunity to start training him and to develop his great protective instincts. 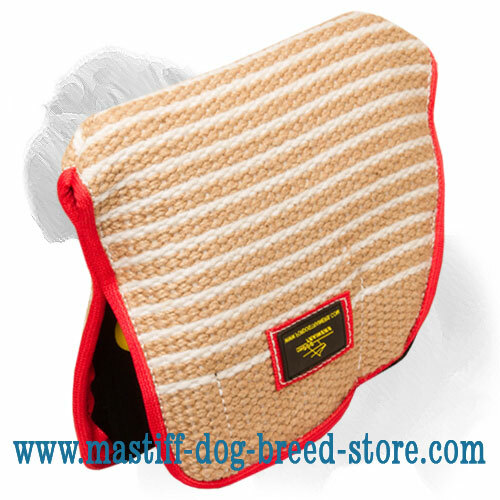 This Jute Dog Bite Builder for Mastiff is highly recommended For this aim. This multifunctional tool can be used as a sleeve and as a tug for frontal attack. Made of super durable material, it will serve you for many years of course if not to use it as a chewing toy. This gear is meant for building strong Mastiff’s bite grip, its better position, and to develop his immature jaw. 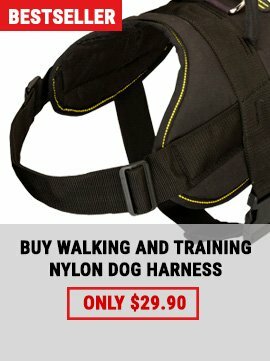 Train your Mastiff with the best equipment only! 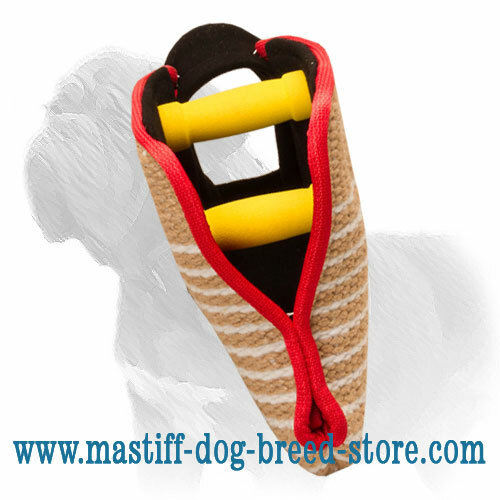 New Design Mastiff Dog Bite Builder of Jute Material has great ergonomic design and light weight, which allows the handler to conduct super-efficient training sessions. 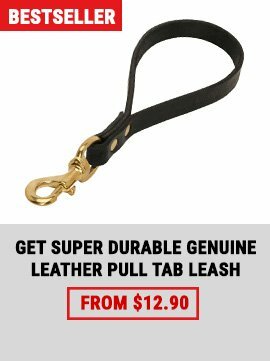 It is suitable for inexperienced dog trainers, since it doesn’t need too much efforts when handling. 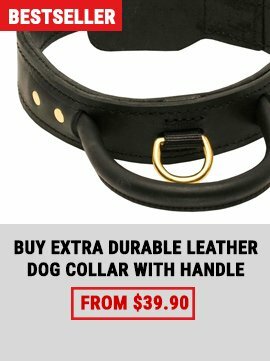 This Bite Builder is a 2-in-1 gear, which can be used as a tug for building Mastiff’s grip, and as a sleeve for advanced attack training when your pup grows older. From now on, you won’t need to buy a new tool when your dog's training achieve a higher level. It is also equipped with 2 hard handles for you to grab stronger and for easier mobility.